You are welcome to join and learn how to be an overcomer in your faith, face the challenges of each day, and how to walk out your calling in Christ. On this episode of Leadership Lessons, Ps Adam brings Godly wisdom and learned skills that can help avoid problems in ministry and business. We are glad to bring you this FREE podcast through the faithful giving of our partners. Become a Patron of these podcasts for just $5 a month or more. Your giving helps us reach around the world with the Gospel of Jesus Christ. Ps Adam continues this FREE teaching with Part 2 of Whole Vision Leadership. Ps Adam brings leadership together and gives a whole picture for your ministry, job, or home. These lessons, based in scripture, will bring clarity and newness. Ps Adam continues this FREE teaching with Part 3 of Whole Vision Leadership. Ps Adam brings leadership together and gives a whole picture for your ministry, job, or home. These lessons, based in scripture, will bring clarity and newness. Ps Adam brings insightful teaching grounded in scripture that are effective for church, business, and home. His years of experience in church and business will help you manage and structure your life. Ps Adam continues sharing how an effective leader can anticipate problems and head them off before they happen. He brings scripturally based teaching that will impact your church, work, and home. In part 1 of this 2 part message, Ps Adams begins to share tools for becoming an effective leader in church or work. He shares how there are levels of leadership and how you can grow your skills. In this FREE podcast, Ps Adam continues the sharing a special word of encouragement to help you through troubled times. There is a special anointing on both of these podcasts to bring hope and healing from heaven. 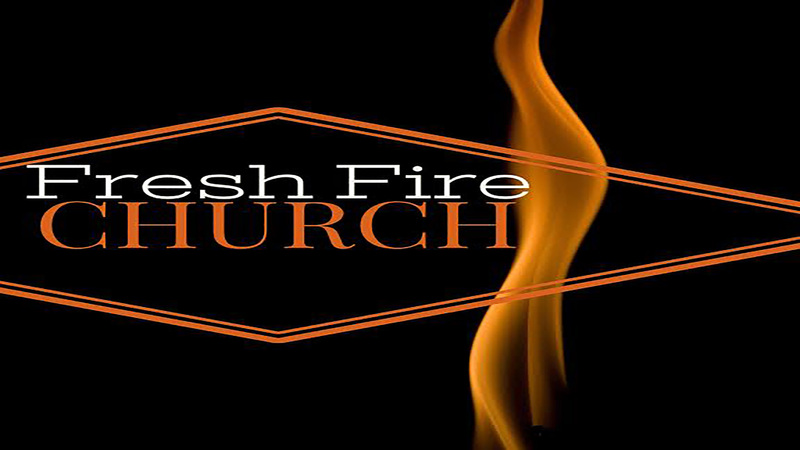 Become a Patron of Fresh Fire Church's podcasts with a gift of $5 a month or more. Support the life-changing Word of God as it is being broadcasted around the world. In this FREE episode, Ps Adam brings a word to anyone who needs a refreshing or who feels like they are beaten or pushed down. This episode is not just for leaders but for anyone who needs some encouragement in your journey. Allow Holy Spirit to minister to you and bring you up out of your problem into your destiny. Ps Adam brings Part 2 of this teaching on Essentials For Becoming A Leader with more practical advice and Godly wisdom. Whether you are in ministry or in business, these Leadership Lessons will guide you through the storms. If you are a novice in leadership or well seasoned, you will find nuggets of truth to be valuable to your situations. In this FREE Leadership Lesson, Ps Adam brings Part 1 of this anointed teaching on Essentials To Being A Leader. He brings insightful and practical words to help you whether you have been in a leadership role in church or work, or if you are just starting. Along with sharing his heart for leaders, Ps Adam also brings you an encouraging word to help your situation. Copyright 2017-19 All rights reserved.